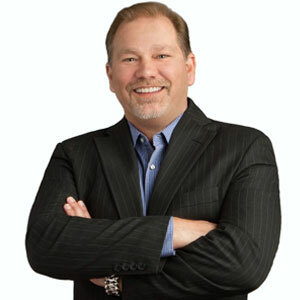 Kevin Cooper, CEO Building loyalty is closely linked to profitability—a major reason why automakers are spending millions on technologies—often recklessly—in an attempt to fortify the relationship with their customers. According to Frederick F. Reichheld and Phil Schefter of the Harvard Business School, a five percent increase in customer retention can increase a company’s profitability by 75 percent. In another study, Gartner has dictum that nearly 80 percent of an organization’s future revenue will come from just 20 percent of their existing customers. However, for myriad of automakers, attracting customers is hard and earning their loyalty is even harder. “Loyalty is driven by a dealership’s interaction with its customers and how well organizations understand and deliver on the wants and needs of their end users,” says Ron Vangell, Chairman and Chief Strategy Officer at NcompassTrac. Loyalty is a big word, difficult to achieve and preserve, but with NcompassTrac’s technology, the automotive industry can re-accelerate revenue flow and consumer retention rate—by building a customer base that sticks to the brand. “Dealers need a technology that can ‘capture’ and ‘track’ the success of sales and marketing initiatives at the actual transactional revenue level,” says Vangell. NcompassTrac’s Loyalty Rewards Program (LRP) is tailored with the fabric of such technology. With LRP, minute mapped demographics of customers, distances, and frequency are made accessible from the cloud, in both browser based and mobile ready format. It is like a bright spot in an overly competitive landscape of automotive, as brands can now shear the spikes in the rate of consumer defection. For decades, the Big Three automobile manufacturers dominated the American auto industry. People with General Motors, Ford or Chrysler in their garages were envied and rests of the brands were placed in the “other” category. However, their dominance in the market today has eclipsed by various international brands—marking the beginning of a fierce competition where just a logo will not suffice to lure customers. With cars holding more computer chips and lines of software code than the first vehicle launched into space, the brands are leaving no stone unturned to bring their name under the spotlight of consumers. Innovation is becoming the second language of the motor engineers and OEMs are seen honing their skills to become more sophisticated. “The fight to stay relevant is on and anecdotal evidence of this is Tesla Motors,” says Vangell. The first thing one will notice when they step on Tesla Motors production floor are the robots. Eight-foot-tall bright-red bots that look like transformers, huddling over each Model S sedan as it makes its way through the factory in Fremont, CA. Such technological prowess is becoming visible across various manufacturers, “Because the next generation of consumers will demand a more efficient purchasing model than ever before,” adds Vangell. NcompassTrac is not only aware of this but has also architected its product suite to assist brands in improving their dealer to consumer experience. The company has crafted products that use number of touchpoints to keep customers engaged and loyal. “Always on—is a foundational requirement for both the dealers and customers, and with our cloud based technology, we ensure it becomes the status quo of auto companies,” says Vangell. Embracing mobile technology is fast becoming a norm in the auto industry. Auto dealers are spending in millions to develop the silhouette of their offerings with the imbued shades of mobility—and at the same time exploiting innovative ways to leverage it in the best way possible. Nothing repels the next generation buyers more than a non-responsive, poorly implemented mobile strategy. “People avoid investing their interest in non-mobile enabled auto companies,” opines Chris Daden, CTO of NcompassTrac. “And unfortunately for various auto dealers, the cost and complexity of delivering a feature rich and responsive mobile solution still remains a burden that veils their brand’s name in the market,” he further adds. This played the motivating factor behind the development of NcompassTrac’s self-provisioning customized mobile application platform. These applications, by working independently or in concert, complete the online setup in less than 20 minutes that result in a feature rich, robust personalized application, assisting dealers to increase their visibility in the market. With native support for all iOS and Android phones, consumers can receive brand news, specials, new product announcements, as well as check inventory, get directions or digitally save key auto documents such as registration and insurance cards. The mobile platform acts as another channel to reach customers and keep them engaged in a brand’s eco-system. The NcompassTrac LRP can directly access this platform to provide relevant consumer information by topic of interest. A dealer’s ability to deliver an experience that is unique in the eyes of its customers is beneficial for both—revenue generation and building brand loyalty. The NcompassTrac retention and rewards products are designed from ground up to win back lost customers as well as attract new ones. “Our products accomplish this by bringing in all the known customer data by brand in an area of influence and applying business logic that categorizes that data into definable segments,” states Kevin Cooper, CEO of NcompassTrac. This data is then visualized in a geographic scatter gram and color-coded by segment type providing an instant live-view of a dealership’s existing and potential client base. “Specially created algorithms that de-dupe and efficiently process this information are used to insure the best interpretation and representation of this data,” Cooper adds. Once the data is successfully grouped and visualized, the system will let the dealership craft a creative plan to win back lost and defective customers as well as attract new customers through individually crafted promotions and communications. All the revenue generated from the system is tracked to the penny. Once launched, a meaningful multi-modal dialogue is maintained from the dealership through NcompassTrac mobile apps, cloud- based browser interfaces, physical card media as well as its tablet technologies. “This system keeps customers engaged without the need to call or email them every day or week,” says Cooper. With its portfolio of solutions, NcompassTrac assisted a California based dealer of Mercedes-Benz in turning the tides while they were grappling with poor customer retention and acquisition. NcompassTrac got involved with the dealership, and mapped the demographics of existing and potential customers in order to lay down the cornerstone for next course of action. As a result, a strategy was formulated that included loyalty cards, a dealership app and a cloud tracking solution. For the dealership, the outcome was astonishing. “They were able to successfully augment their revenue by increasing their customer retention rate by 60 percent,” says Cooper. In the coming days of the auto industry, new technologies could be foreseen, replacing the old ones, and opening new doors of opportunities that were hinged before. The Internet of Things (IoT) is one such major entrant, which has compelled auto companies to revise their traditional strategies and bring their offering’s epicenter around it. “With its prowess, the dealership and OEM customer experience will evolve to something very different than what we have today,” says Vangell. IoT is here to stay and along with big data, cloud computing, and mobile technologies, it is bound to become the Lingua franca of dealers. NcompassTrac intends to leverage these technologies and make them drumbeats of its offerings. “By architecting our solutions to take advantage of cloud technology, multi-tenant, and metadata rich models that are mobile enabled, we are laying the foundation for the next generation of products,” adds Vangell. NcompassTrac looks all geared up to take their growth trajectory to new heights by embracing noble technologies and opportunities they bring along. With their ideology to move fast and learn from mistakes, the company aspires to ameliorate their forte in product creation and engineering excellence.